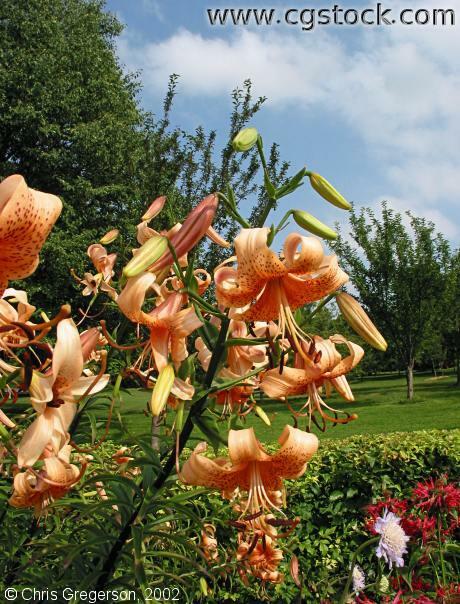 These lilies are in the annual-perennial section of the Lyndale Park gardens. I am guessing the flower species is a Stargazer Lily or Tiger Lily. It resembles an Alstroemeria also.